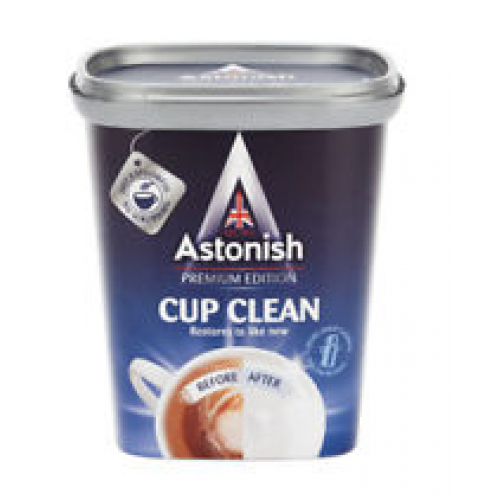 Astonish Premier Edition Cup Clean restores your mugs and cups like new. 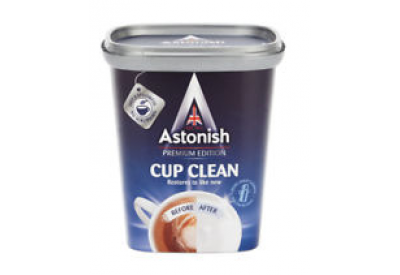 'Cup Clean' can be used on glazed ceramics, glass, stainless steel and plastic. Ideal for cleaning coffee and tea pots, flasks, travel mugs, wine decanters and much, much more!